Mostly known as the Boet Erasmus Stadium, which was its original name, the EPRU Stadium is based in Port Elizabeth. The city is known as the windy city of South Africa, while the EPRUused for the title of the stadium, represents the Eastern Province Rugby Union, which is the company behind the Mighty Elephants. The stadium was originally named after the former mayor of Port Elizabeth and can accommodate 33,852 fans, while it is mostly used for rugby matches. The EPRU Stadium was used by the Irish pop band on the 6th of March 2007 during their The Love Tour that supported the bands Love Album release. 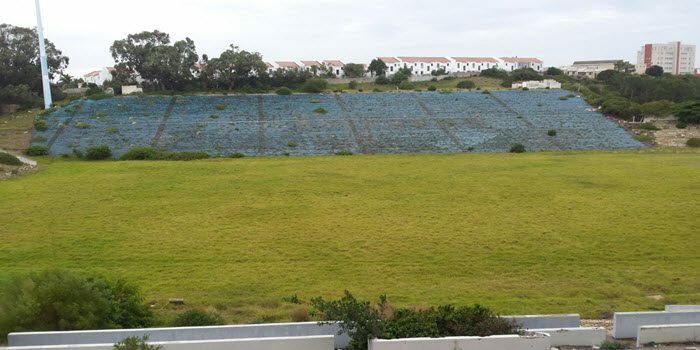 The EPRU Stadium was also once used by the football club based in Port Elizabeth when the Bay United actually moved to the stadium for both their 2008 and 2009 season during the PremierSoccer League. A few years later the club again used the stadium during 2009 as well as 2010 National First Division campaign, the main reason at the time was the problems they had with availability of the Westbourne Oval, which remains the clubs most preferred home grounds. At one stage the BoetErasmus/EPRU Stadium was the home of Eastern Cape rugby as it is situated in the wealthy Summerstand suburb, perfect for hosting matches such as the Vodocom Cup, Currie Cup and Super Rugby. It was the most regularly used by the MightyElephants now known as the Eastern Province Elephants and the Eastern ProvinceKings, which hosted both their home matches at the ERPU during the Super 10season of 1994. The EPRU Stadium was actually intended to be the Southern Spears home base. This was one of the teams scheduled to participate in the Currie Cup of 2006 as the field where all preparations could take place for the 2007 Super Rugby. At a later stage, the Southern Spears denied ever entering either of the competitions, yet the stadium was soon credited for the first grounds where the Springbok team won when it still included players such as Hannes Marias, Frans Erasmus, Garth Wright and Danie Gerber. It was South Africa vs Canada on the 3rd of June 1995 during the Rugby World Cup, and since the South African team won the match with a score of 20-0, it was named the battle of Boet Erasmus. The EPRU Stadium officially closed in 2010, and the Eastern Province Rugby union was forced to move all its games to the brand-new Nelson Mandela Bay Stadium. The last match ever played at the stadium took place on the 3rd of July 2010, and since then it has remain abandoned and was dismantled by thieves and all that is left today are the concrete structures.